"You're looking funny. You ain't laughing, are you?" The Tatum Group Masterpieces, Vol. 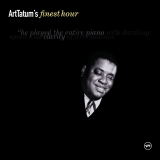 5 by Art Tatum. Sorry, no matches on iTunes for "Deep Purple Art Tatum".